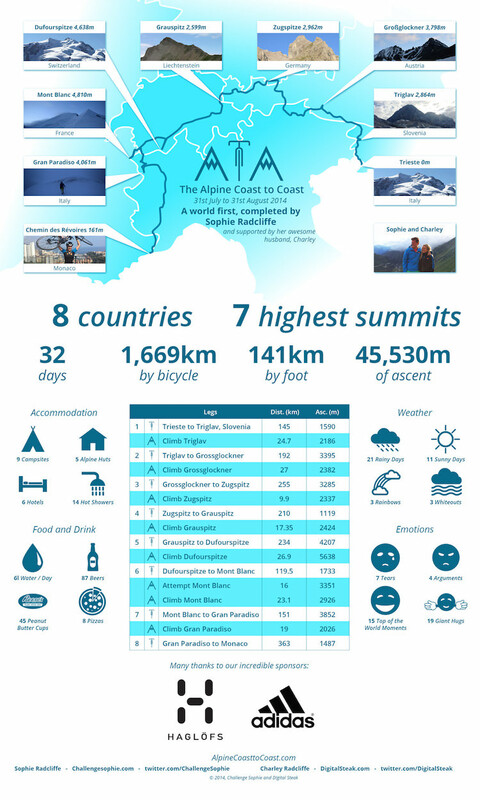 How did you come up with the idea of the Alpine Coast to Coast Challenge? Over the last 6 years adventure and the outdoors has become more a part of our lives. In 2014, we decided it was our time to go for it and have our own big adventures rather than reading about other people’s. 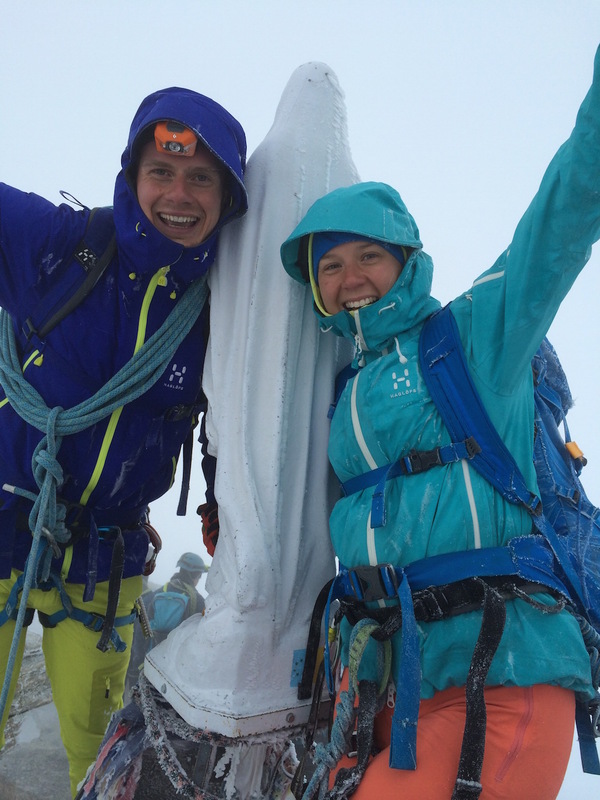 We quit our jobs, bought a car and moved to Chamonix. 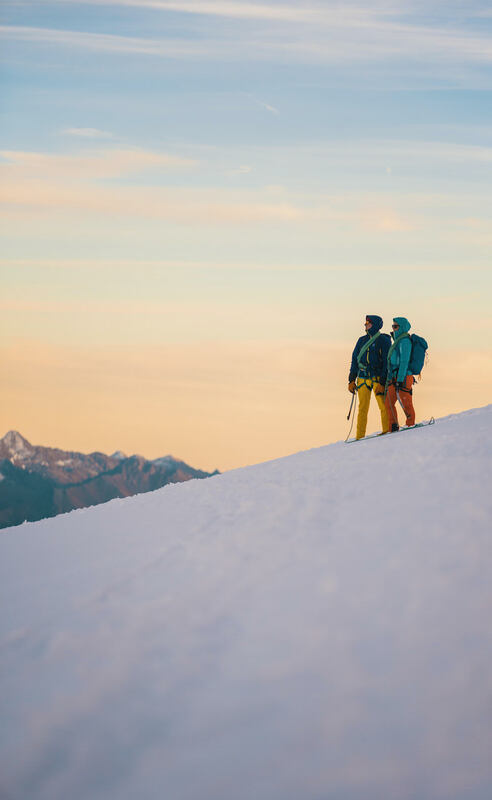 The Alpine Coast to Coast and moving to Chamonix went hand in hand – we wanted to commit to the part of our lives that inspires us to explore who we are and what we’re capable of. The Alpine Coast to Coast was a unique challenge and it was something I’d been dreaming about and mulling over for a year before we decided to do it. Previously, my longest challenge was for 3 consecutive days, this would be at least a month so it definitely gave me that real challenge I was hungry for. 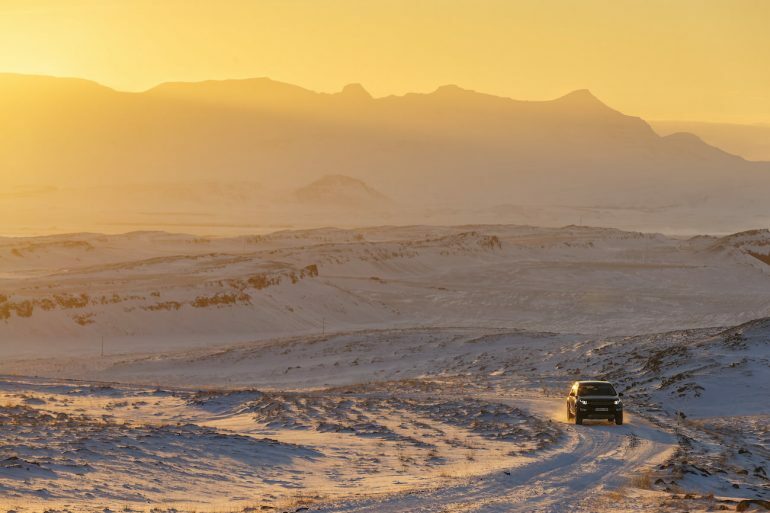 During the Alpine Coast to Coast, did you argue and if so, what about? Charley: We had a few little arguments, of course. There were times we were both so tired that we just became irritable and would snap at each other, though I honestly can’t remember what any of them were about. I would be worried about how the adventure was taking its toll on Sophie and that would lead to me being over-protective at times. How are the two of you different? Charley: We are both very relaxed and flexible when it comes to planning, but this is for two very contrasting reasons. I’m happy with life and adventures being ad hoc but only because I’ve thought through as many outcomes as possible and made a judgement based on that information. Sophie, on the other hand, is happy to see where the path takes her, worrying about things only when they become a problem. It’s a great balance as we both still love the unknown but complement and push each other out there. Sophie: We are flexible which really helps in life and in these challenges. I think we’d drive each other crazy if one had to have everything meticulously planned out and the other was more fly-by-the-seat-of-your-pants. However, I think we both have a huge amount of faith in how strong we are together, physically, mentally, emotionally and with our abilities. We trust each other’s judgement and know that we can get through anything. This enables us to take more risks, to challenge our pre-existing limits and do things we might not have the guts to do on our own. In the mountains we differ in that Charley is a very technical climber and is inspired by difficult routes that challenge his skill. I don’t have a big penchant for being scared witless, and although I love routes that challenge my skill, my main aim is to feel confident and strong in the mountains and enjoy myself. 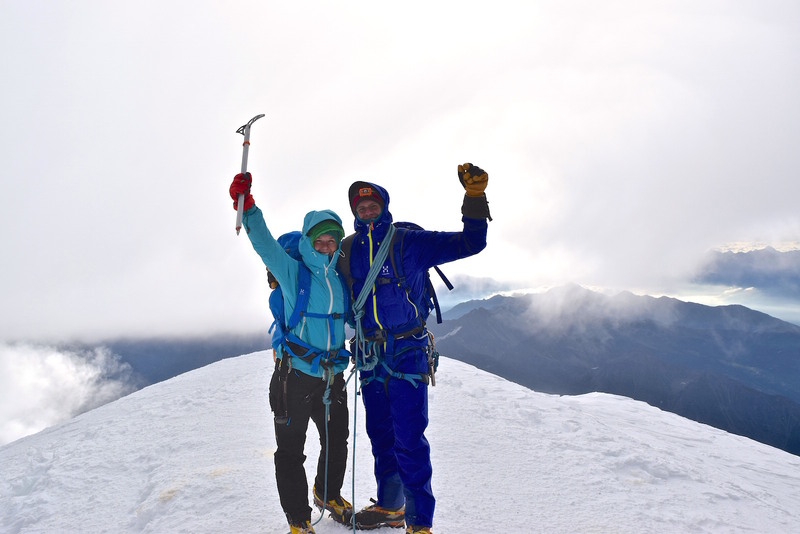 I’m inspired by the endurance side of climbing, I love the snow slugs up big mountains and I’m driven by the achievement of reaching beautiful summits and seeing the sunrise as you climb 4000m peaks in the Alps. Just unreal! You’ve talked about ‘confidence’ being an important tool. During the expedition did your confidence in each other ever waiver and how did you support each other? 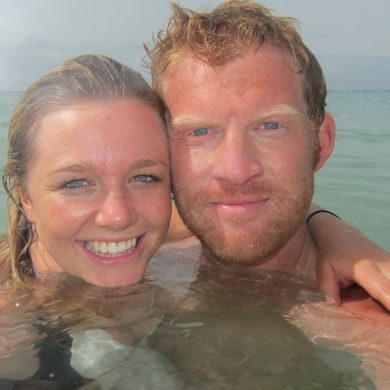 Charley: Confidence and faith in each others abilities was crucial to getting through the adventure not just safely but with a relationship that is stronger than ever. Sophie had faith in me looking after our safety on the mountains, allowing her to focus on digging deep and keeping on going. I was able to keep going into dangerous and committing environments with the confidence that Sophie knows her limits and wouldn’t get reckless with our progress. Sophie: Not at all. It became stronger and stronger. I knew I leant on Charley a lot and I knew it was tough for him to see me suffer. I tried to explain that there were different types of tears/emotions and sometimes, I just needed to let emotion flow so I could pick myself up again. I’m a firm believer that you can and should allow your self to beak, but never stay broken. 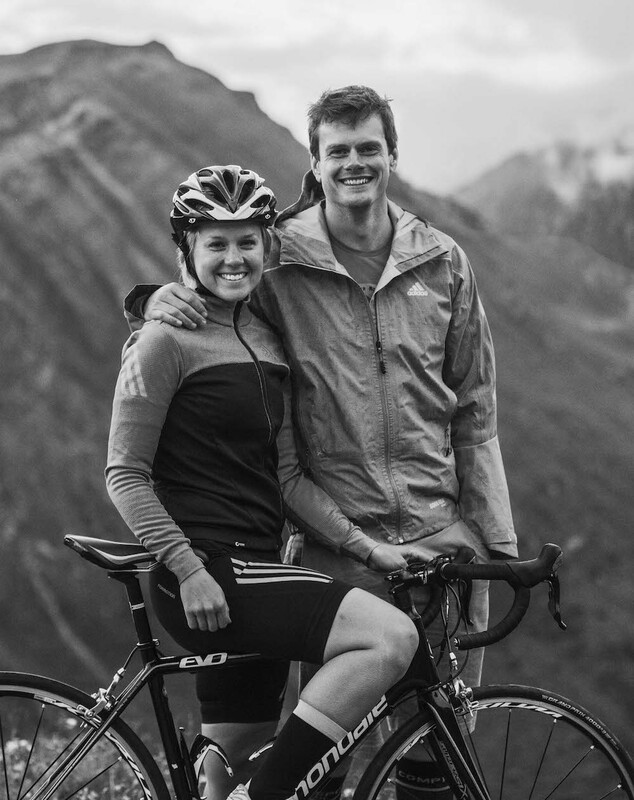 Charley supported me in so many ways; by planning the routes up each mountain and setting up camp each night, by doing his best to help me feel safe on the mountains, being there with hugs and often having made dinner at the end of each on the bike. I supported him by making sure I was emotionally available for him even when I was so tired I couldn’t string a sentence together and by sharing the work in the camps so he didn’t feel he was always doing chores. 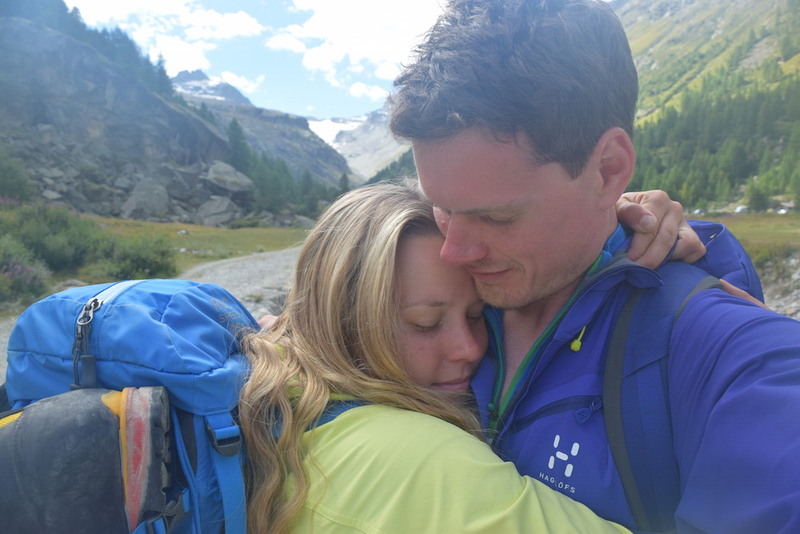 What are the biggest challenges in doing adventures with your other half? Charley: Sophie and I talk a huge amount; about everything and anything, and this gives us the strong foundation we need to take on challenges together. At the same time, this leads to us saying things that can get each others backs up, you can be quicker to say something that is easily open to an incorrect interpretation leading to little bickering sessions at belays and descending from summits. Sophie: I think you lose patience and are more likely to snap at the quicker than you would with a friend. With friends you probably take more responsibility for yourself whereas with the other half you’re likely to blame them if something goes wrong. We were both stretched to our limits on this trip, and that was certainly a big consideration, just like with anything we needed to be aware and work through it. Give me an example of where you’ve had your differences? Charley: I love being in the mountains, but getting down safely so that we can enjoy another day is all that I focus on while out on the hill. This can mean that I want to keep moving to get back off a dangerous glacier, or, if we’re tiring, keep moving until we can rest properly. Sophie is much more eager to stop and smell the flowers, to take in every moment as we are there. This can lead to us pulling in separate directions but always for the same reasons, the love of being in the mountains. Sophie: During the adventure we once had an argument about chocolate. Definitely the most ridiculous argument we’ve ever had. When we came into Zermatt we had our first of three 4000m mountains to climb, Duforspitze at 4634m. Charley was keen to acclimatise on another 4000m peak which is what you’d normally do to decrease risk of altitude affecting us. I wanted to take a rest day and then head straight for Dufor. We packed our bags and headed to the lift to go for our climb but the lift was closed due to bad weather. I can’t tell you how excited I was, a bonus rest day! By this point, we were on Day 14 of the challenge, 5 days ahead of schedule and with one rest day so far. We’d been pushing it hard and I felt I needed it. On Dufor, we both felt incredibly strong but we got caught out by the unseasonably cold temperatures. Minus 18 on the summit, meant we really had to pull together to get through. I remember Charley pulling me close and looking deep into my eyes saying words of encouragement. When I felt I had nothing left, I took strength from his strength. I guess the only differences we had were minor, we were in this together. Who’s the stronger when climbing, etc? Has Charlie suggested doing something that you’ve not felt comfortable? Or vice a versa? 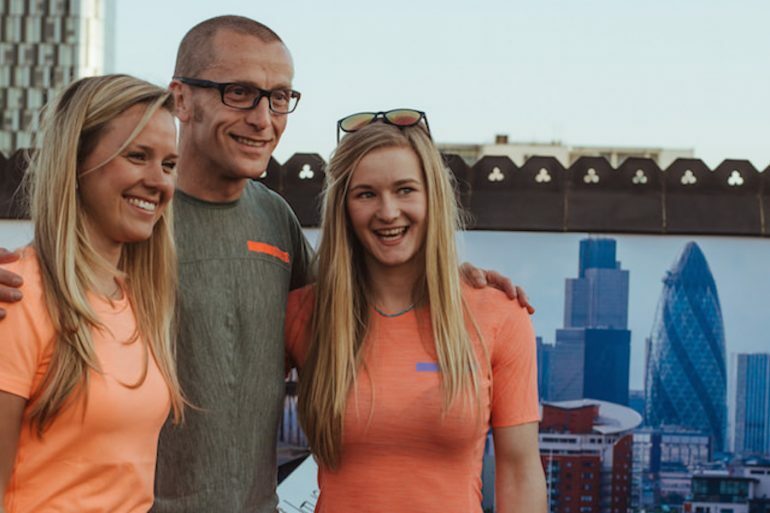 Charley: I am much more driven by hard, technical climbing and the satisfaction that can bring. Sophie is motivated by the stunning scenery and environment these mountains are in and so sometimes we can find ourselves out of balance, too far into my area. Though we might have ended up in difficult situations, our faith and confidence in the skills we have developed over the years allows us to safely get out any sticky situations we’ve faced thus far. Sophie: Charley is a stronger climber in terms of technical ability and the types of routes he wants to do. Although we started climbing together my focus has been diverted with cycling and triathlon in the mix. In the mountains it’s always a balancing act between skill, risk, confidence and the quest for adventure and challenge. Each of us works with each other’s strengths and weaknesses to aim to get the balance right so we can feel like we’ve pushed ourselves but also return home safely. 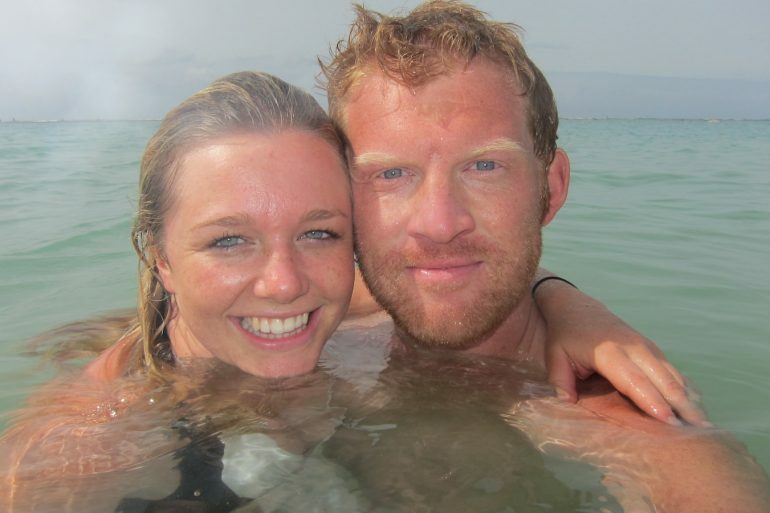 What 3 pieces of advice would you give to aspiring couples looking to be adventurous? Charley: – Offer support to each other. Sophie and I will often tell each other how well the other person is doing, how strong they are being, and how well they are moving. These little boosts from someone you love make all the difference, even if you know they are just saying it so that you get a move on! – Stop and smell the flowers. Remember why you set off on this challenge together and take a moment to see how far you’ve come, have a cuddle, and be proud of your other half. – Be ready for change. These experiences will change you, will fundamentally affect who you are as a person and sharing that with someone is incredible in allowing you to grow closer. Be ready for it as there may be times when one person changes faster than the other. It is not a problem, just something to observe, talk about, and understand why. – Encourage and support the other person to spread their wings and grow, even if that means doing things with other people. Charley: Does eating chocolate count? I am able to keep pretty calm under pressure, I don’t see any benefit to stressing when things (inevitably) going a little wrong, and feel that my energies are best invested in resolving any problems quickly and efficiently. Sophie: Digging deep and my ability to suffer. Being comfortable with being uncomfortable. All beauty regimes and nutrition plans go out the window, you basically have to get used to being a bit gross; living in one set of clothes, peeing in the bushes, feeling sticky, bathing in rivers, and eating whatever is convenient. My underlying drive and motivation each day was to find out how I could motivate myself to get though anything. The best way I can describe it is to become like water. This is what these challenges are all about for me, developing the strength, confidence and resilience to overcome anything, coupled with the desire to blaze my own trail in the world rather than following the path. 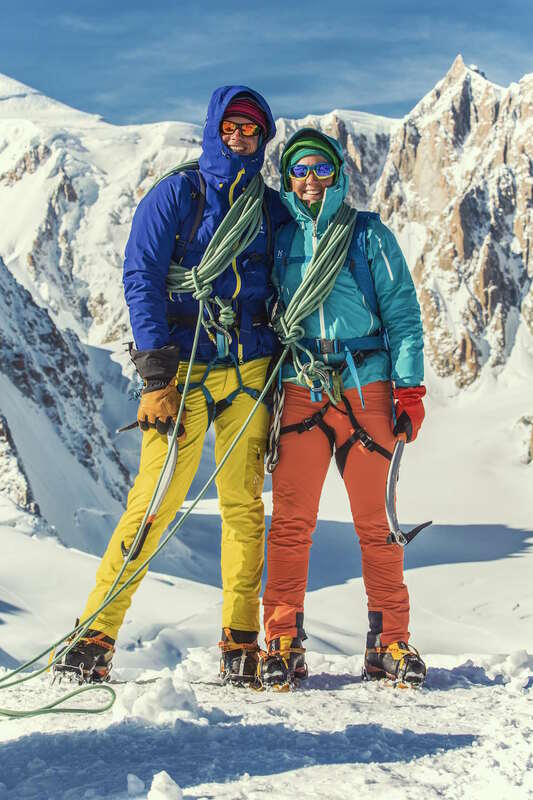 This formed the original interview I did in October with Sophie and Charley, as the basis for a piece I wrote for Telegraph Men on Adventurous couples. 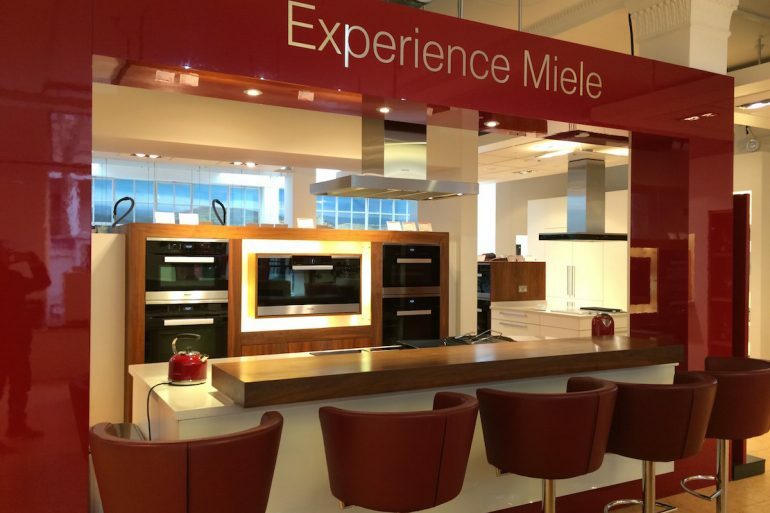 The Miele experience Who knew that upgrading your oven, the Miele way, would come with a five course lunch?